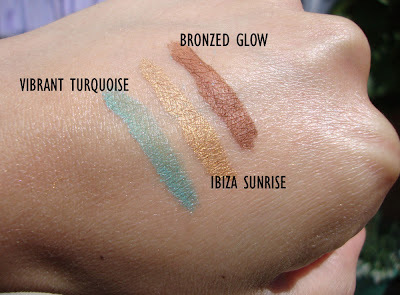 B U B B L E G A R M: Max Factor Colour Effect! ive seen this in a few shops, might take a closer look next time im in boots. Nice! Love bright colors! Perfect for summer! Is the release date just for UK? Oooh they look lovely. The orange snap looks very zesty on! I do love your blog very very much! 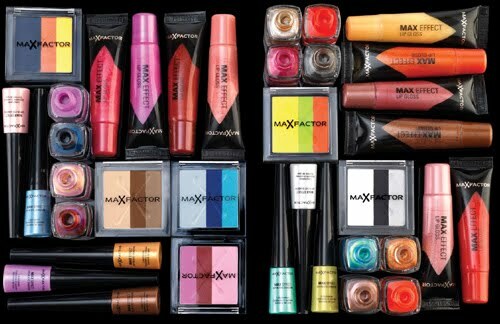 I love MaxFactor so will definitely be having a sneaky peek at this range! Very much drawn to the Ibiza Sunrise and Weekend Spa - might need to make a little purchase..! 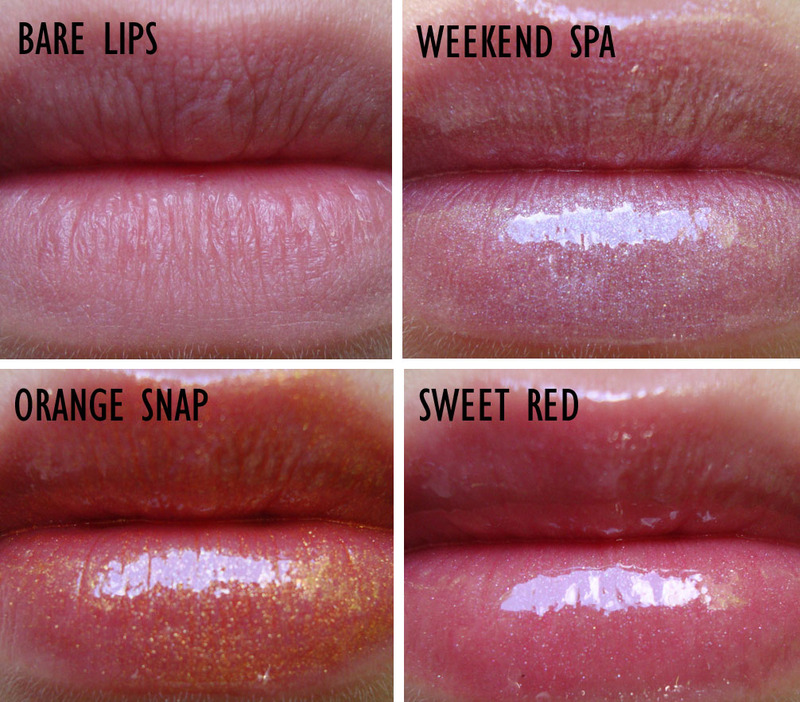 I love lipglosses MF !!! Gorgeous colors!! 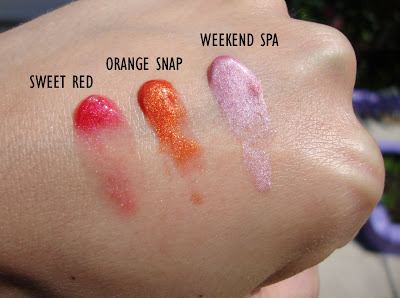 I am usually drawn more into colors like Weekend Spa but I love how Sweet Red looks on your lips, makes me want to get this color for sure! I wonder if we will get this collection in US? I heard Max Factor will be discontinued in the US, but not sure. I've seen it in Boots and I wasn't that attracted to it for some strange reason. I think the e/s are the best bit as they are super rich colours and mainly matte. I'm surprised by the prices, they're pretty cheap considering how expensive I thought Max Factor would be. The shadows look nice too! I hope the formula is better I have owned a few max factor shadows and they are usually too sheer. The shadows in the tubes usually causes fall out I think maybelline had something similiar not too long ago. wow, these looks really awesome. 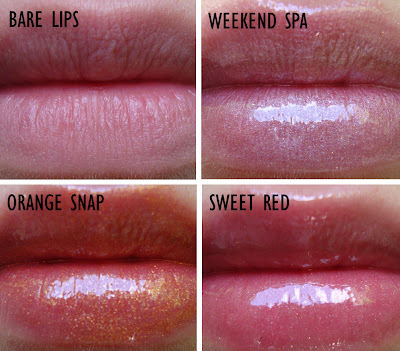 The lip glosses are soo pretty. I will check these out. who sent you the items? 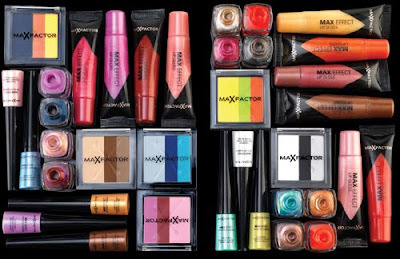 The packaging looks fun, good to see Max Factor have shaked it up a bit. I usually just walk past their stand as it always looks boring. ooh i'd like to try these! I love weekend spa on you!